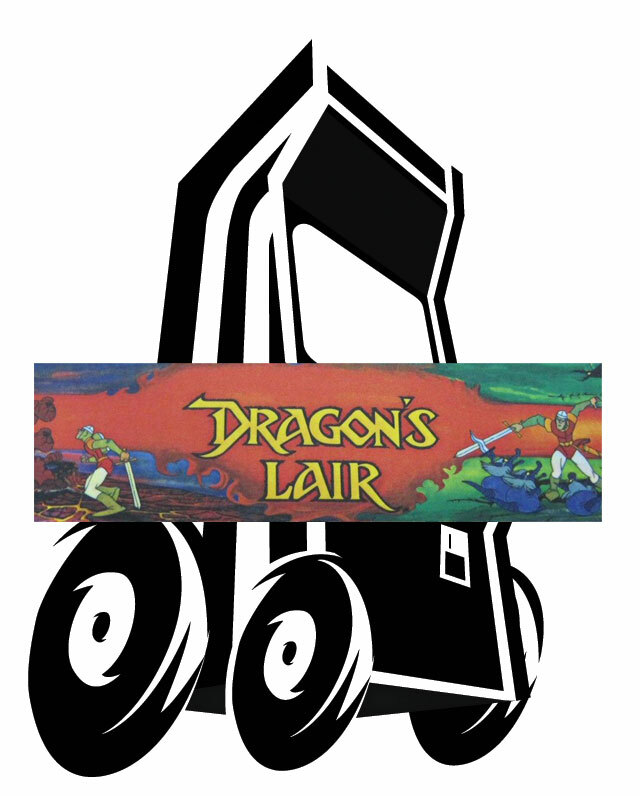 Dragon's Lair! A fantasy adventure where you become a valiant knight on a quest to rescue the fair princess from the clutches of an evil dragon. You control the actions of a daring adventurer finding his way through the castle of a dark wizard who has enchanted it with treacherous monsters and obstacles. In the mysterious caverns below the castle, your odyssey continues against the awesome forces that oppose your efforts to reach the dragon's lair. Lead on adventurer. Your quest awaits. H: 72", W: 25", D: 30"